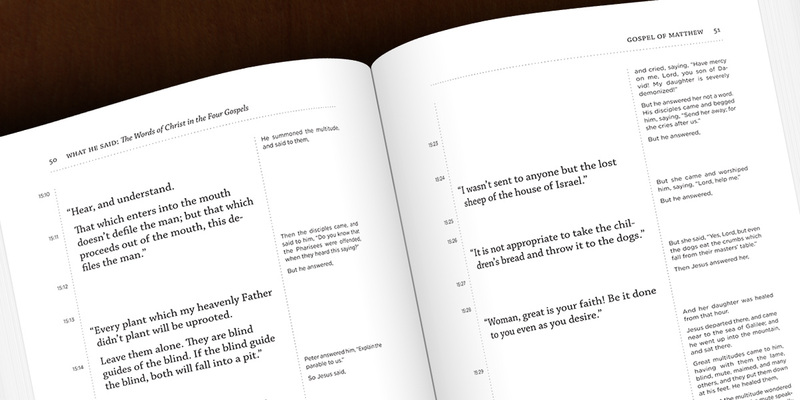 We thought it would be fun to redesign the Bible. Well, not the whole Bible—just the Four Gospels. 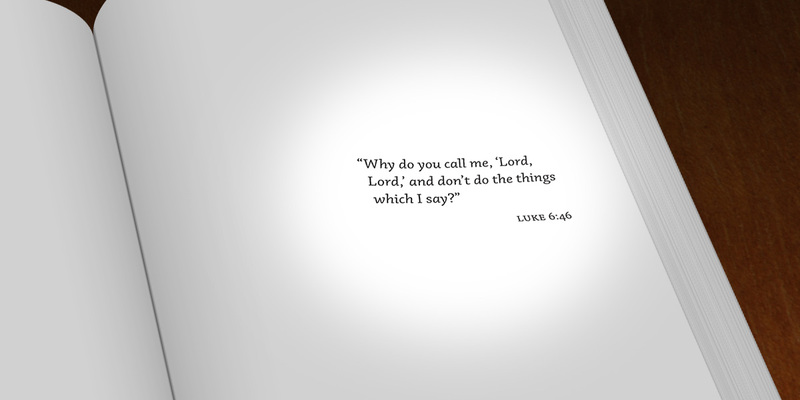 Dismayed by the disconnect between the Gospels’ message and actual human interpretation, we thought a new layout might help. 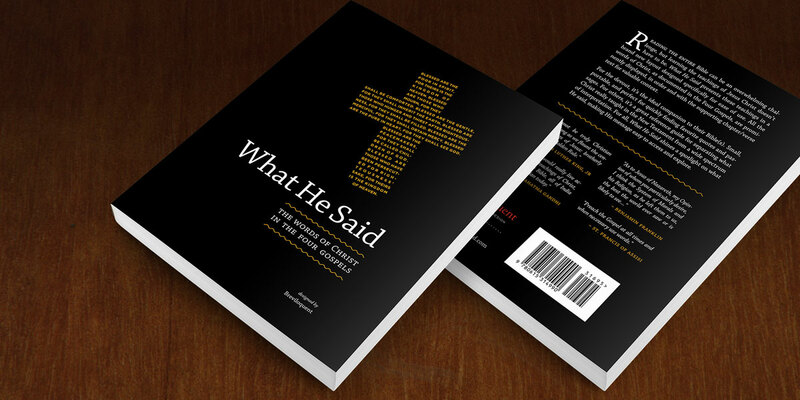 Our design, a Gold Medal winner in the Independent Publishing Awards, presents what Jesus actually said in a way that makes the quotes easier to find and explore than ever before. A great reference tool for the devout, the non-believers, and the curious (available at Amazon). What He Said is very well done and very useful. The Gospels are so deeply radical that we tend to encrust them in all kinds of tradition to avoid having to deal with those very deep commands to love your God and neighbor.